For those of you who have been dying to play against a professional poker player, you just might get your chance. Popular Mac-compliant online poker room PokerStars announced that the first ever “PokerStars All Star Week” will be in effect from March 23rd to 29th. PokerStars will be hosting a series of heads-up matches between a brand new All Stars squad and Team PokerStars Pro with cash on the line. The All Star team will be made up of players who have won a Sunday Million during 2008, final tabled a World Championship of Online Poker (WCOOP) tournament, finished high on the Tournament Leader Board, or have achieved the impressive SuperNova Elite VIP Club status level. On top of this, PokerStars will be awarding wildcard entries to poker hopefuls who win a special $11 All Star Week qualifying tournament. 2008 Sunday Million Winners: Freeroll where the top four will qualify. 2008 Yearly TLB Top 50: Freeroll where the top four will qualify. 2008 WCOOP Final Table: Freeroll where the top five will qualify. 2008 SuperNova Elites: Freeroll where the top five will qualify. Wildcard Tournament: $11 buy-in tournament where the top two will qualify. PokerStars will also be hosting a series of All Star Week Fan tournaments for only 100 Frequent Player Points (FPPs). PokerStars wants to know who you think will end up winning the competition, the Challengers or Team PokerStars Pro. For a buy-in of 100 FPPs, you can choose to play in either a tournament for those who think the Challengers will win more heads-up matches or a tournament for people who think that Team PokerStars Pro will win more. Registration is open now and both tournaments will start at 16:00 ET on April 5th. Every time a player from either team wins a match, $1,000 will go into their respective prize pool, generating money for that tournament. Players can only enter one tournament. Each match will have a cool $1,000 on the line, so each team could win up to $35,000 during the course of the week. Once the 20 Challengers have been selected, the team picks who will play in each heads-up match. Every day at 16:00 ET from March 16th through 22nd, the 20 Challengers will face off against each other in a No Limit Hold’em tournament. When five players remain, the tournament will be paused. At that point, each of the remaining players will decide who gets to play against which Team PokerStars Pro member in the five heads-up matches on the same day one week later. The first pick goes to the chip leader, the second pick goes to the player who is second in chips, and so on. Each heads-up match will award $1,000 to the player who wins on top of the shared prize pool of $1,000 a player collects for their team. The heads-up matches will run from March 23rd through 29th, start at Noon ET, and run every two hours. Matches will be played in No Limit Hold’em, except for the match at 16:00 ET, which will be a rotating game. Finally, as an added bonus, the Challengers will also be competing to be the Most Valuable Player with a one-stamp PokerStars Passport for the player who performs the best. The MVP is determined by a point system, where a player gets one point for playing in a daily team selection tournament, three points for qualifying from that tournament, and five points for winning an All Star Week match. This certainly is the biggest pro tournament series ever held on an online poker room and offers a chance for the Average Joe to go head-to-head with some of the best in the business and win a ton of money in the process. 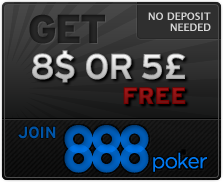 Visit PokerStars today, a Mac-friendly site.